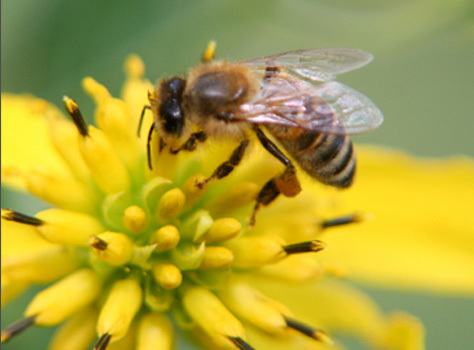 Why are Beehive Remedy products different? What is a balm or salve? Can anyone use these products? Is there anyway to see or test the products before we purchase? Where are your beehives located? Do you sell any other bee related products besides Beehive Remedy? Beehive Remedy products are only made with the highest quality natural ingredients which are produced with no artificial additives, synthetic fragrances, petroleum products, parabens, or chemical preservatives. We infuse our own oils with organic botanicals and use therapeutic grade essential oils, as well as unrefined bees' products from our own beehives in Virginia. All of our products are made with care and in small quantities to ensure the utmost freshessness and potency. A balms and salves are ointments that soothe, heal, or comfort. They are meant to be applied topically, and are usually very concentrated. Therefore they may be used sparingly as a little goes a long way. The skin is the largest organ in the body, and the products used on the skin can profoundly affect your health. Applying high quality natural products with therapeutic value is one of the safest and most efficient ways to promote health and effect healing. In general our products are gentle enough for use by all ages. Some of our products contain natural ingredients which children may be more sensitive to, or should avoid at an early age (under two) such as salicylic acid which is naturally present in white willow bark, meadowsweet, wintergreen, birch and other herbs and roots. Please note that our products contain unrefined bees products, certain nut oils, and various therapeutic grade essential oils. If you are pregnant, nursing or have small children, have any allergies, or medical conditions, please carefully check our ingredients lists, do your research, and consult your physician before using our products. It is also recommended that you do a Patch Test to test sensitivity before using any new product. We encourage to visit us at exibitions and fairs that we participate in so you may smell, feel, and try our products personally. Please refer to the calender for information regarding our exibitions and fairs. The majority of our beehives are at our farm in Highland County, Virginia. The Highland County is called the little Switzerland of Virginia and is a pristine area of mountains and valleys at 4000 foot elevation. We also keep beehives in other areas including Northern Virginia. Yes, we sell our raw honey locally,as well as propolis, customized non-toxic beehives, and other bee supplies and products. Please refer to Viktor's Bee Corner for more information.